Elrey is een product van Jumbo Golf. Benieuwd welke producten wij aanbieden? 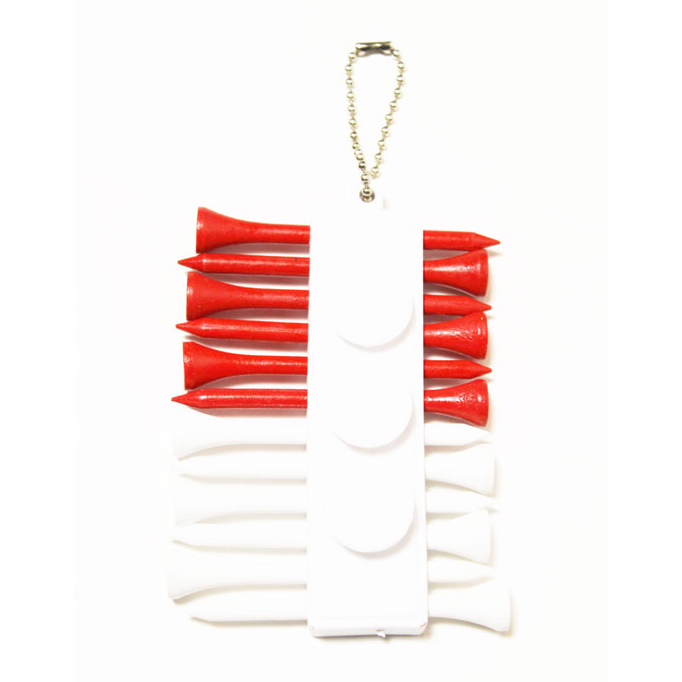 Maak binnenkort een keuze uit onze golfclubs, golfballen of kijk eens bij onze stand- en cartbags. 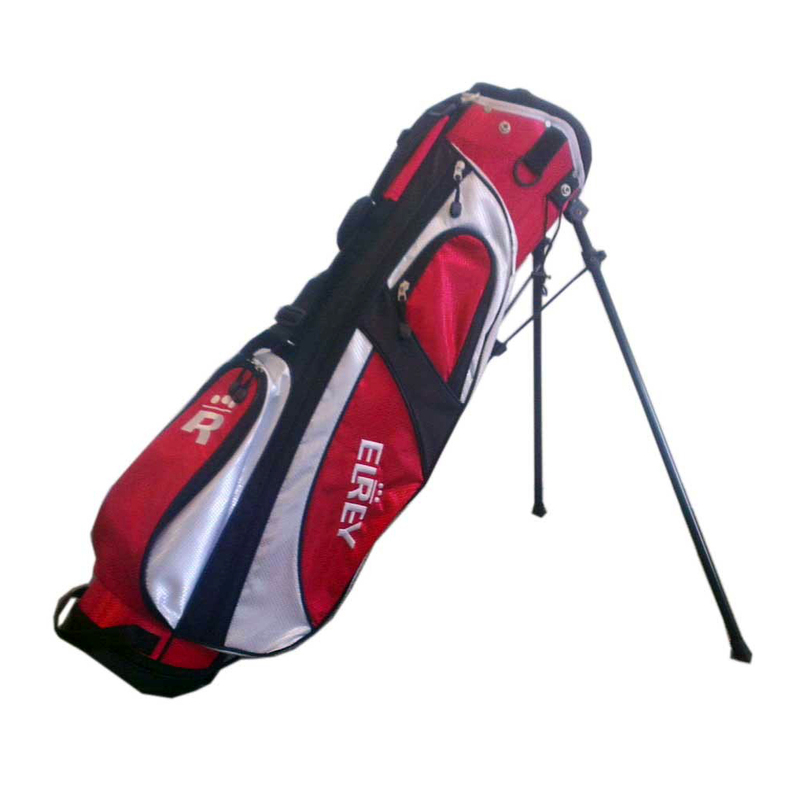 Wij leveren alle golfproducten voor zowel de amateur als professionele golfer. The Elrey standbag proves that a good standbag has a good price. 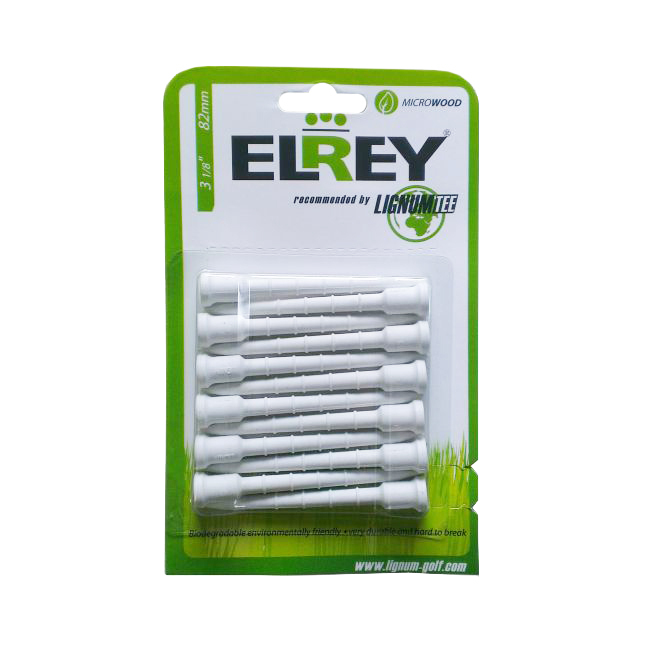 Elrey delivers the best golf products with a high quality for a budget price. 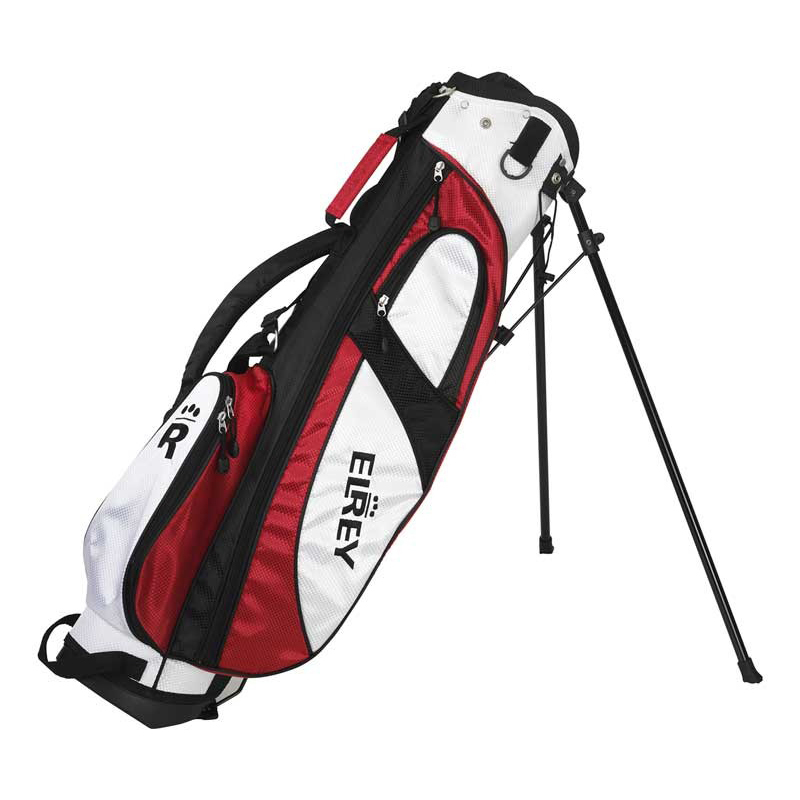 The Elrey standbag has a top diameter of 6 inch (15,2 centimeter). 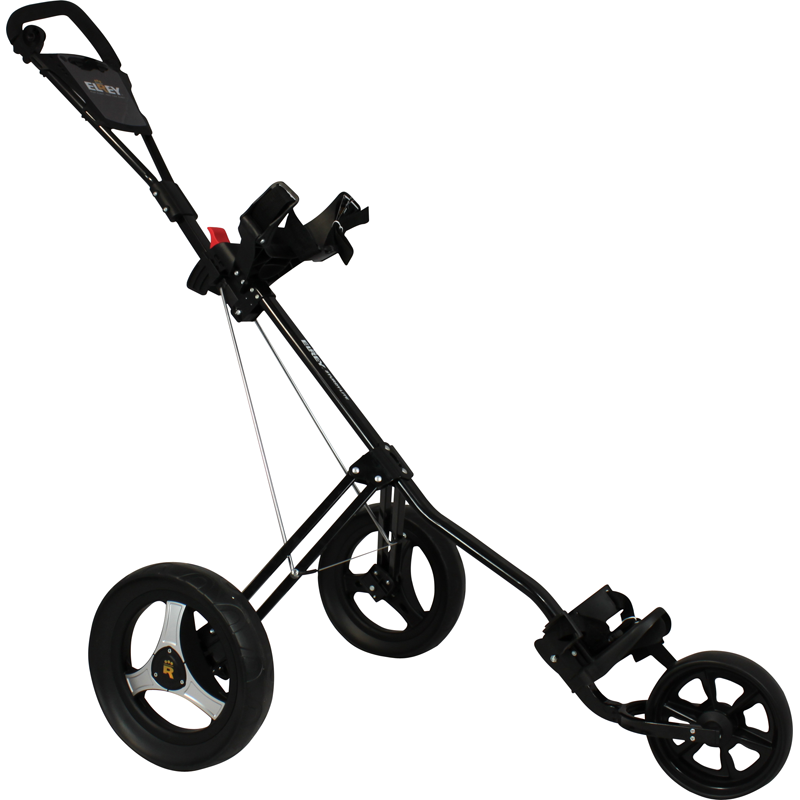 With this function you are able to carry a big amount of golfclubs. 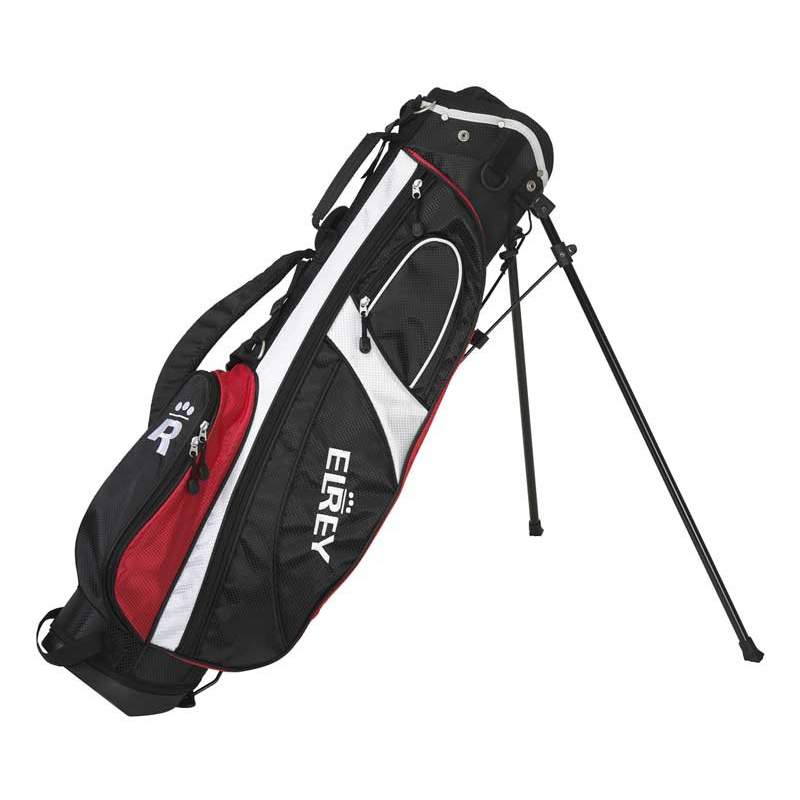 Thereby does the bag have different storage compartment, for cooled drinks, golf accessories such as tees, markers and pitchforks. 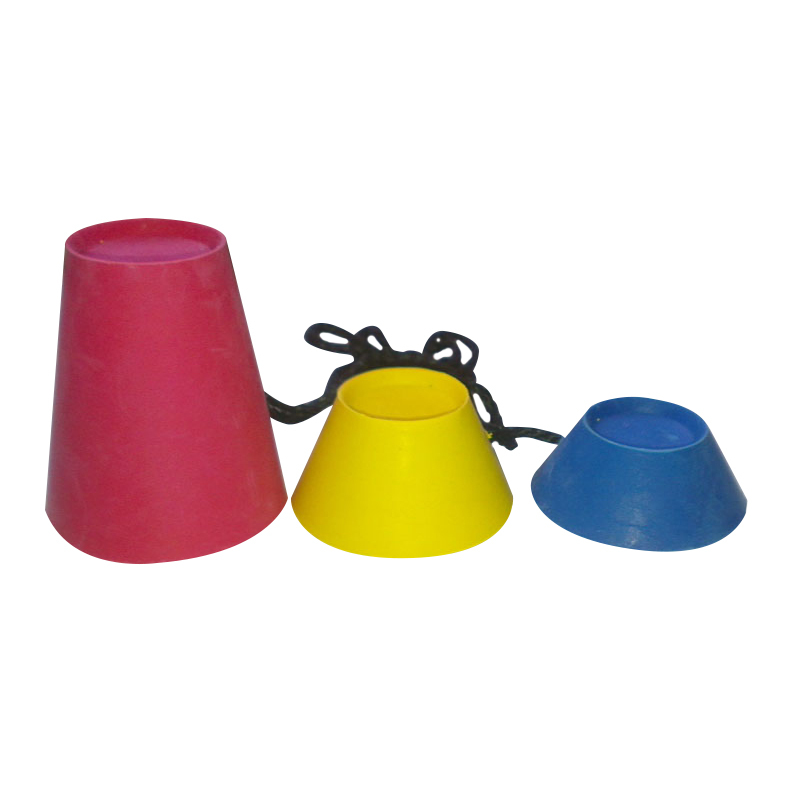 Set of three rubber tees in different heights. Set of distinct tees, with big ground surface for perfect stability during the winter days on the golf course. 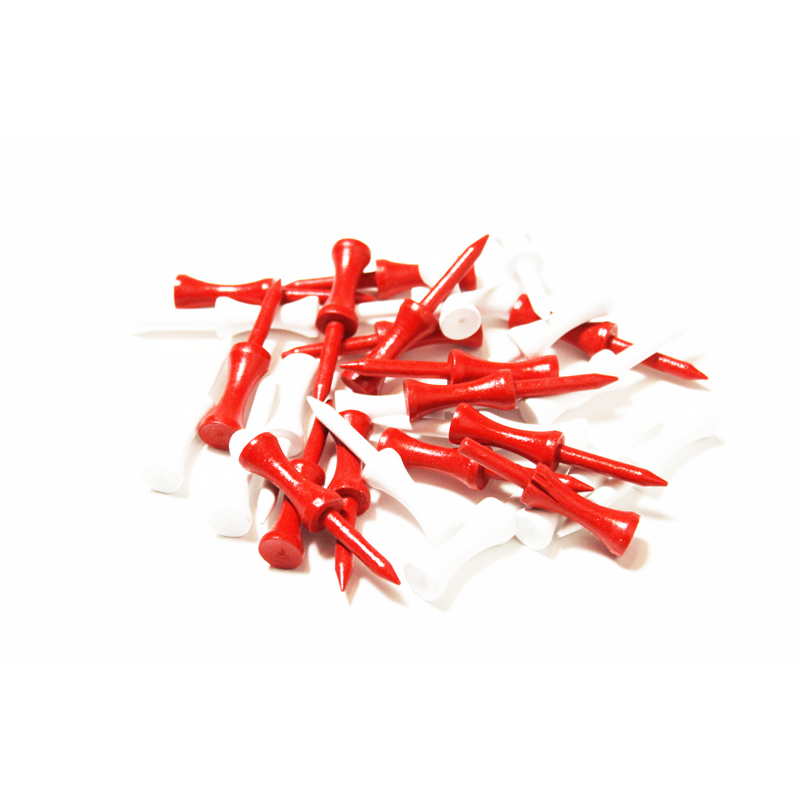 Elrey Castle Tee Woods 2 inch (about 5 centimeters) packaged by 30 pieces. In red and white. The Elrey Lignum Tees of 82 mm are the best selling tees. 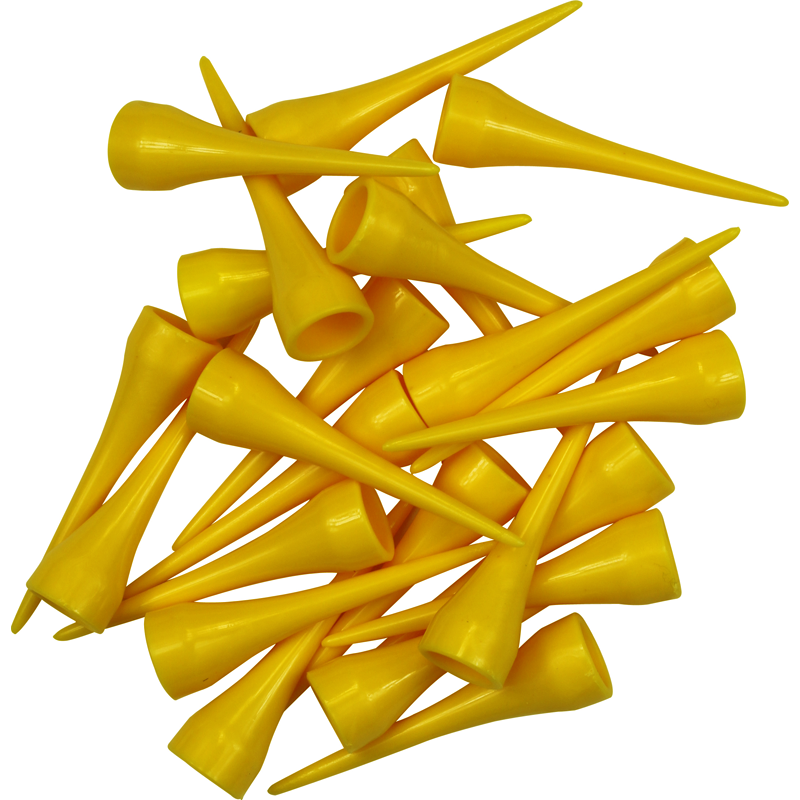 Lignum tees are the golfers favorite because they’re indestructible, even by the hardest hits. 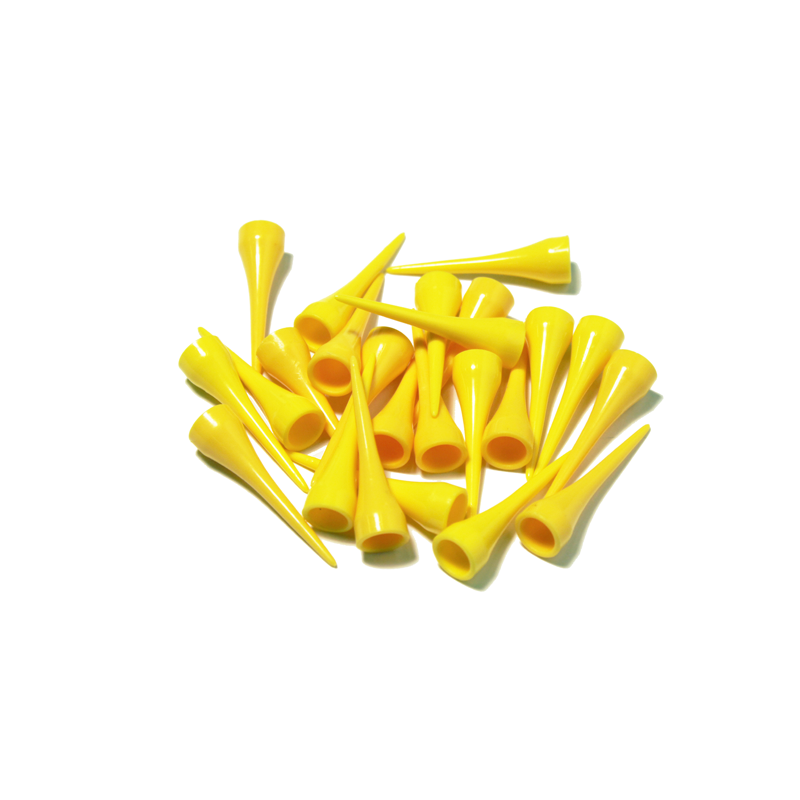 In addition, it is easy to adjust the tee in height because of the incisions in the shaft. Tees packaged by 12 pieces. The Elrey Lignum Tees of 72 mm are the best selling tees. 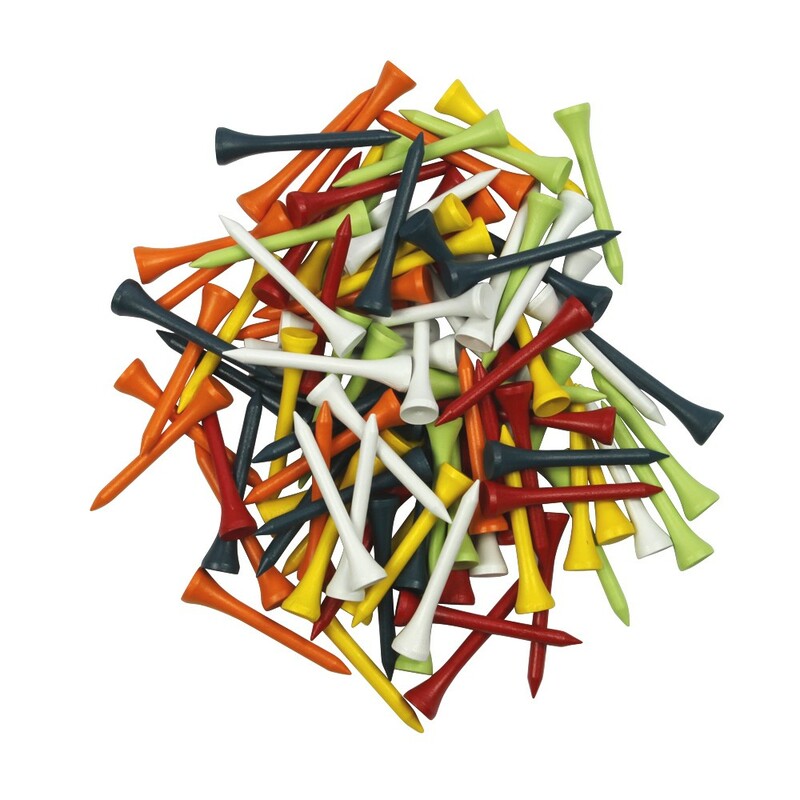 Lignum tees are the golfers favorite because they’re indestructible, even by the hardest hits. 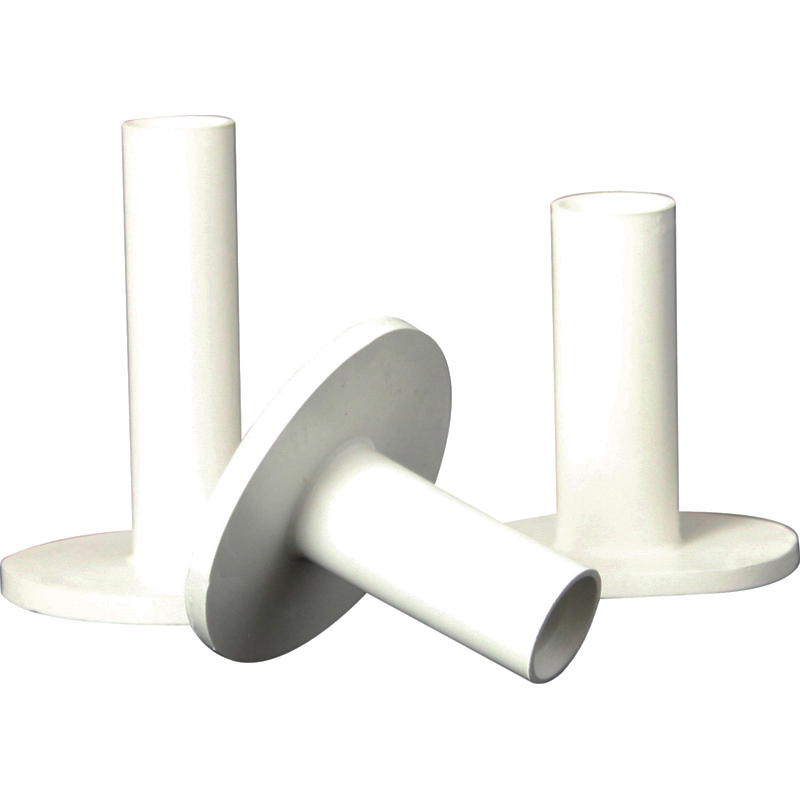 In addition, it is easy to adjust the tee in height because of the incisions in the shaft. The Elrey Lignum Tees of 62 mm are the best selling tees. 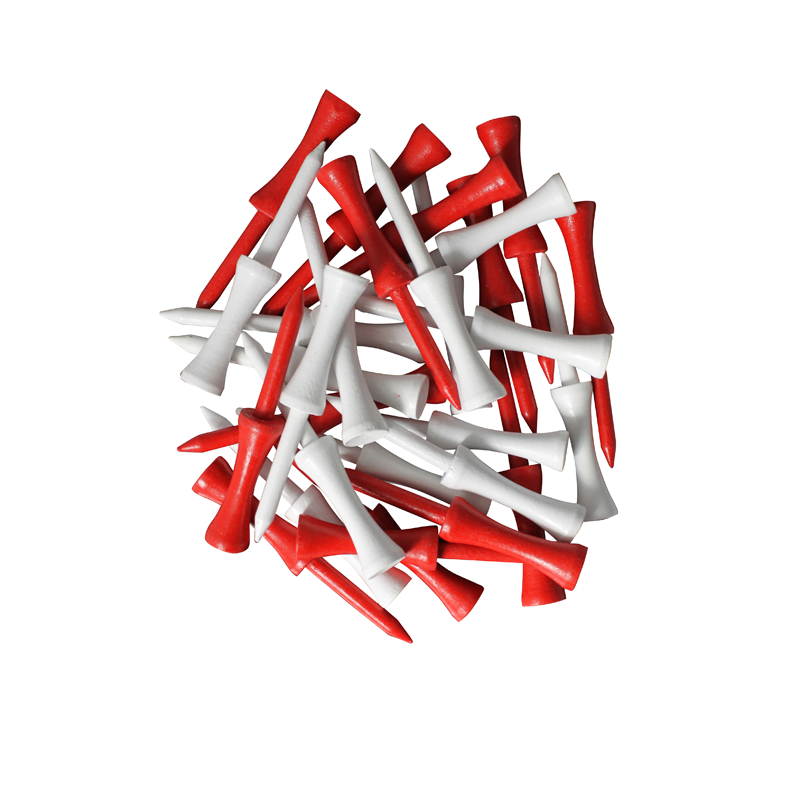 Lignum tees are the golfers favorite because they’re indestructible, even by the hardest hits. In addition, it is easy to adjust the tee in height because of the incisions in the shaft. 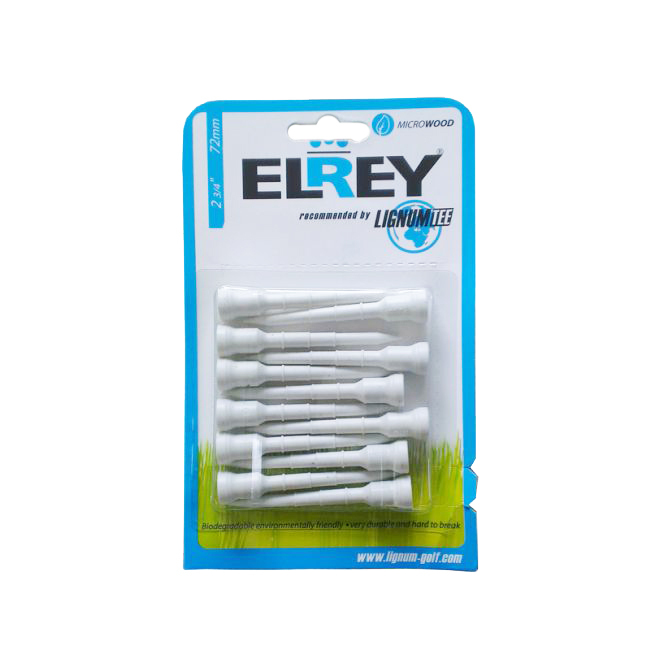 Elrey 2 3/4 inch Castle Tees. Packaged in blister with 30 pieces. Red and white mixed. 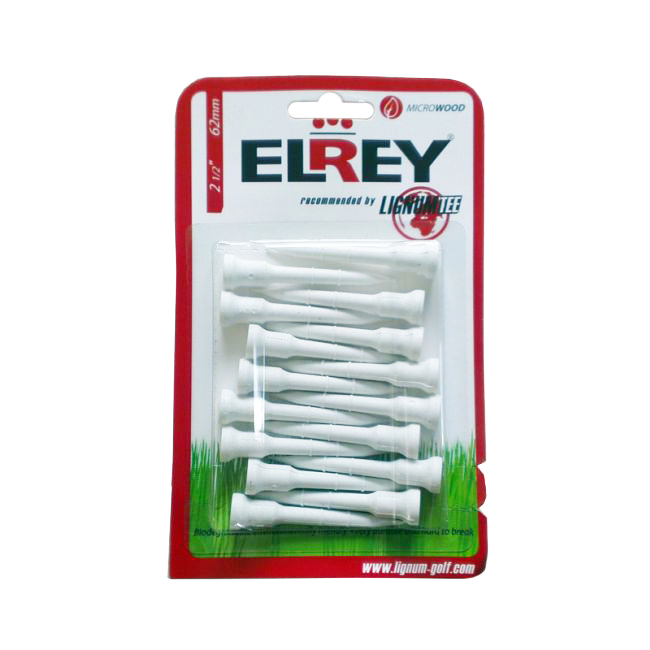 Elrey Jumbo Tees Plastic 2 1/8 inch. Yellow Tees. Storage wood for tee’s with key holder. Inclusive tees on the image. Elrey Wooden Tees 2 1/8 Inch packaged by 100 pieces. Colors white, red, green, yellow, blue and orange. 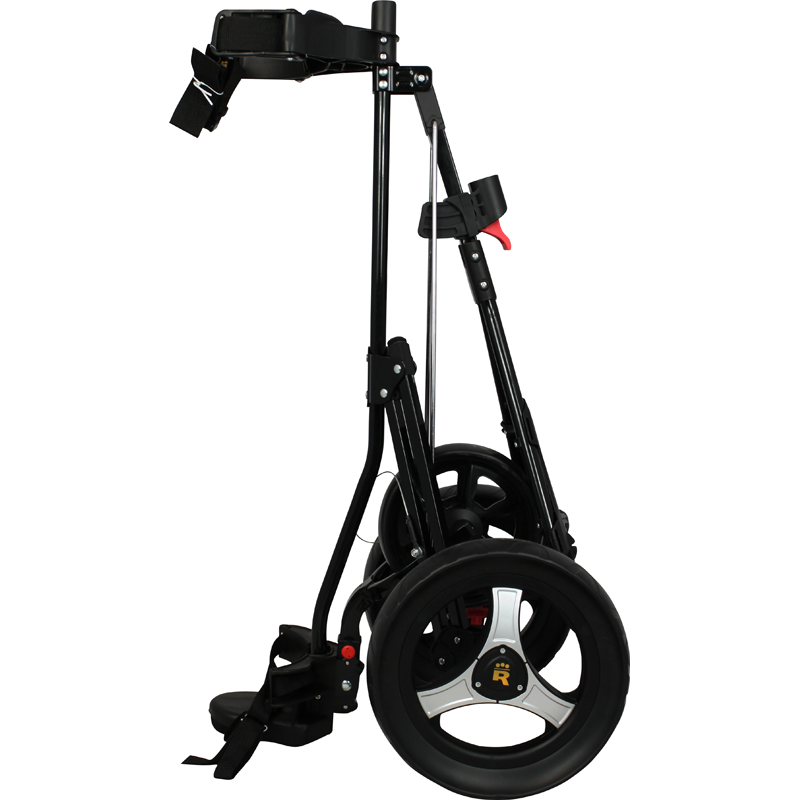 The Elrey Sturdy trolley 3 wheel trolley is a lightweight trolley and folds up easily. 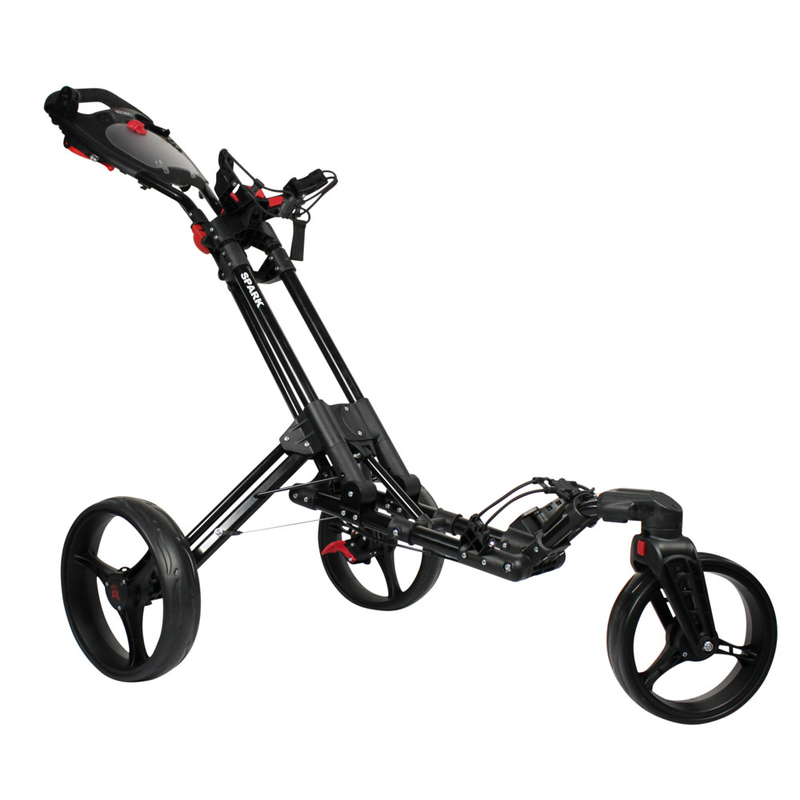 Its a very complete and functional golf trolley. 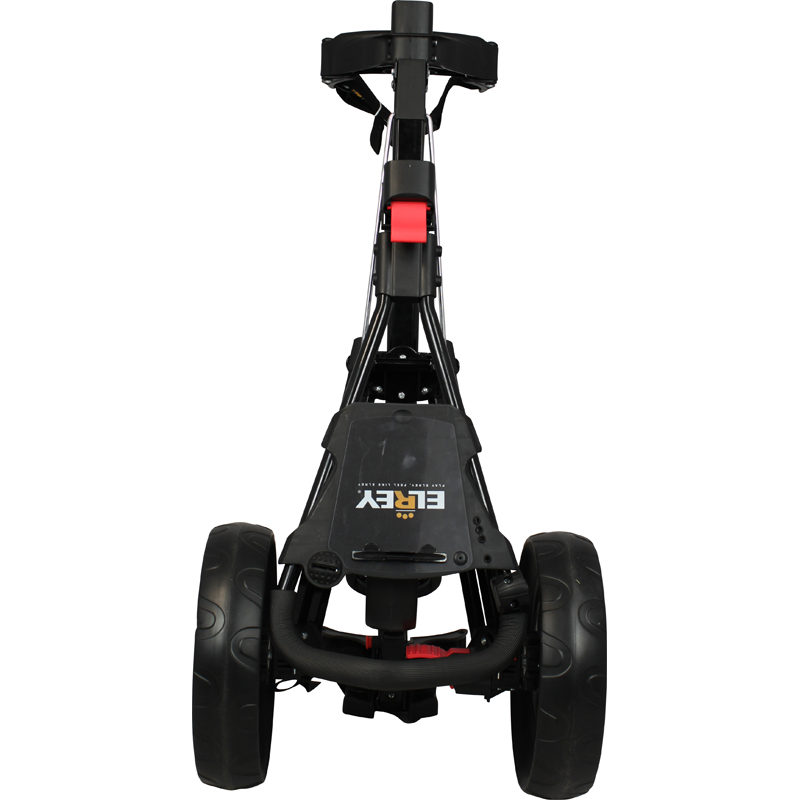 The wheels of the Elrey Spark 360 3 Wheel trolley is developed specially to walk long distances and on courses with height variation. The trolley can be fold up in three easy steps for compact storage. 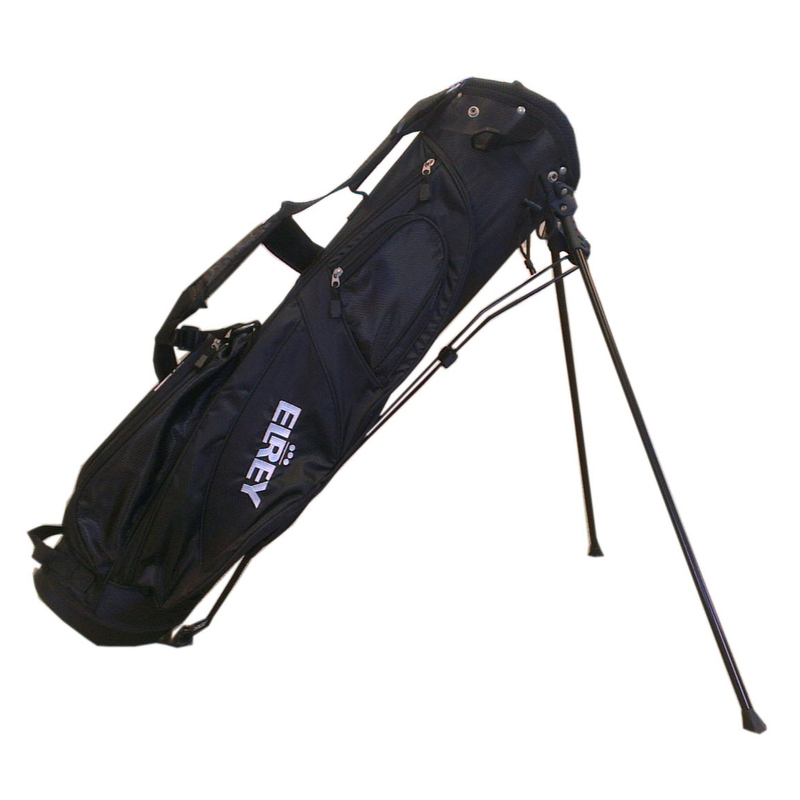 The trolley is suited for both cart as standbags and puts them tightly in the middle with the strap. Lightweight, solid foam and maintenance free wheels. 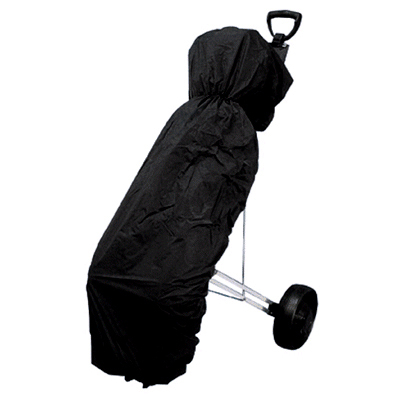 Standard rain cover for your golf trolley. With elastic cord to attach around the standbag or cartbag. 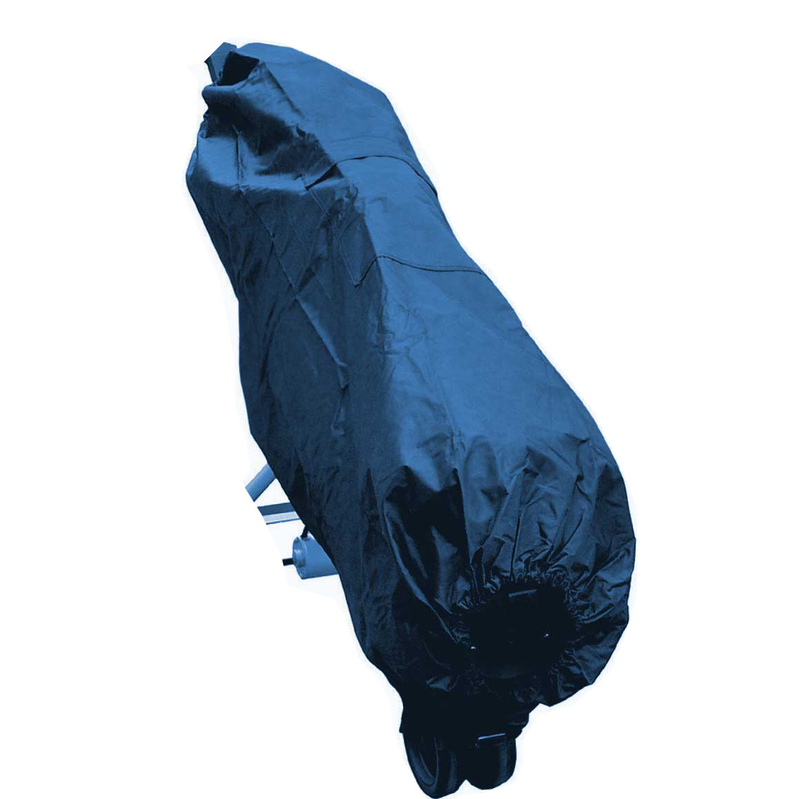 Standard rain cover for your golftrolley. Equipped with cord to close the cover on the standbag or cartbag.